Replaces Cody McLeod on the fourth line after sitting out Tuesday's 3-2 shootout win over Colorado. 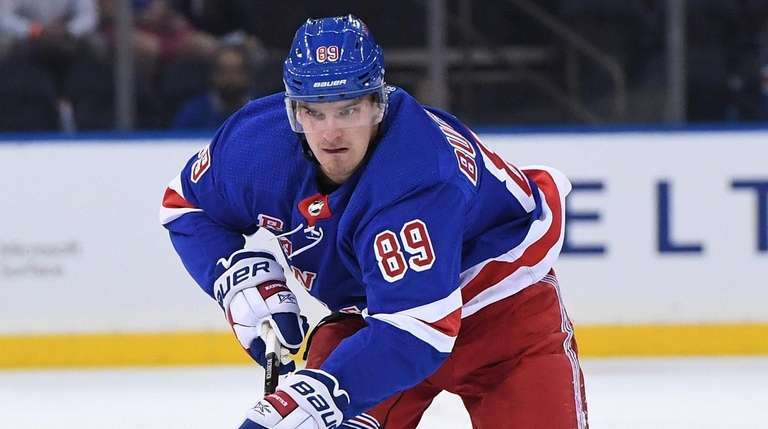 WASHINGTON – Pavel Buchnevich’s stint in the doghouse lasted just one game, as the 23-year-old Russian winger was back in the lineup Wednesday. But Quinn said he didn’t want to disrupt the other three forward lines, and so Buchnevich had to play on the left side against the Capitals. “I know what his comment was,’’ Quinn said of Buchnevich. D Adam McQuaid did not return to the lineup after sitting out his first game of the season Tuesday. Quinn said he had originally planned to put McQuaid back in Wednesday, but the defense played so well Tuesday he decided to keep the same group together . . . With Henrik Lundqvist playing, and the next back-to-back not until Nov. 9-10, backup Alexandar Georgiev could be heading to the AHL to get some ice time soon. 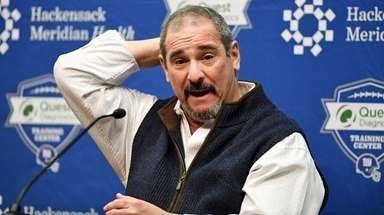 “Jeff [Gorton] and I will talk about that,’’ Quinn said. “We don’t want him sitting too long and getting stale.’’ . . . Quinn had fond memories of the Capital One Arena. “Yeah, last time I was here was April 11th, 2009, so, kind of cool coming back in here,’’ he said. Quinn was an assistant coach for Boston University that night when it won the NCAA championship.